I must first say Happy New Year to everyone. Hopefully you were able to celebrate New Year’s Eve with friends and family in a great environment. 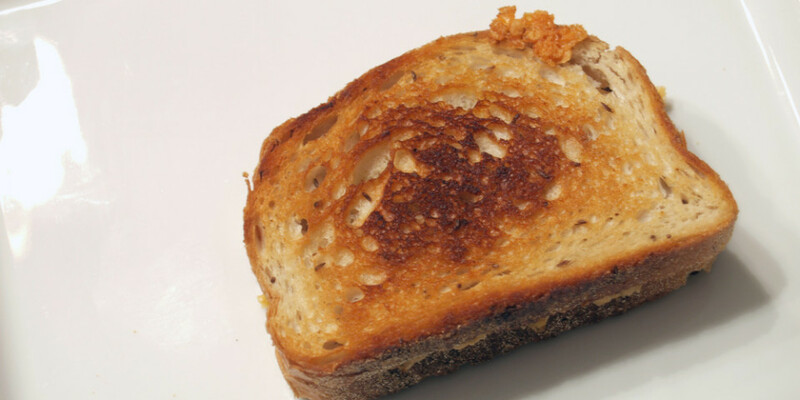 Now onto the newest grilled cheese creation featuring cream cheese. 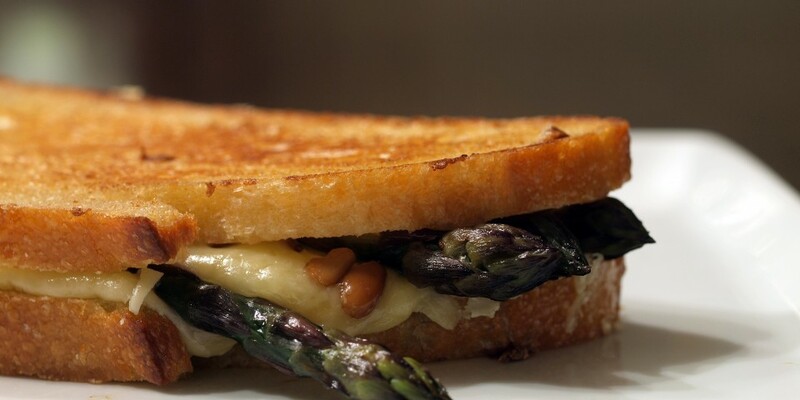 This sandwich was inspired by Grilled Cheese Social‘s “Team Cream” post/grilled cheese. I had hoped to follow the recipe exactly, but since this grilled cheese was a last minute decision, we arrived at Whole Foods late and all the bagels were gone. Instead, I went with “seeduction bread,” which is quickly becoming one of my favorite types of bread. Cream cheese is such a common cheese but I never knew, until now, how it was invented. The technique is known to have been in use in Normandy since the 1850s, producing cheeses with higher fat content than the US model, and Philadelphia cream cheese has been suggested as a substitute when petit suisse is not available. I was searching Whole Foods for heirloom tomatoes when I found ones that were really ripe and mushy. As these were the basis of the grilled cheese, I was pretty disappointed. Thankfully, I didn’t give up and we asked for help. The nice Whole Foods employee went to the back and brought out a box of much less ripe/mushy heirloom tomatoes to choose from. Instead of choosing one large tomato, I decided to go with two smaller, different varieties. The dark, more round one had a much different, better taste while the red pepper looking tomato had a very yummy standard tomato flavor. The recipe calls for fresh thyme and thanks to the recent thawing of snow, we were actually able to harvest some fresh thyme from our garden. In addition to the thyme, I also mixed in chives. I previously purchased a seeduction roll from Whole Foods and fell in love the minute I took one bite. The bread is sweet but has a nice texture. After seeing that the bagels were sold out, I was saved when I realized a loaf of seeduction bread was sitting there, waiting for me. Thanks to Grilled Cheese Social and her Team Cream post, I was able to create an awesome grilled cheese. I don’t doubt that the grilled cheese would be amazing on an everything bagel, but it is also pretty darn good on seeduction bread. After finishing the first half of the grilled cheese, I did add more tomatoes to the second half which only made the sandwich better. 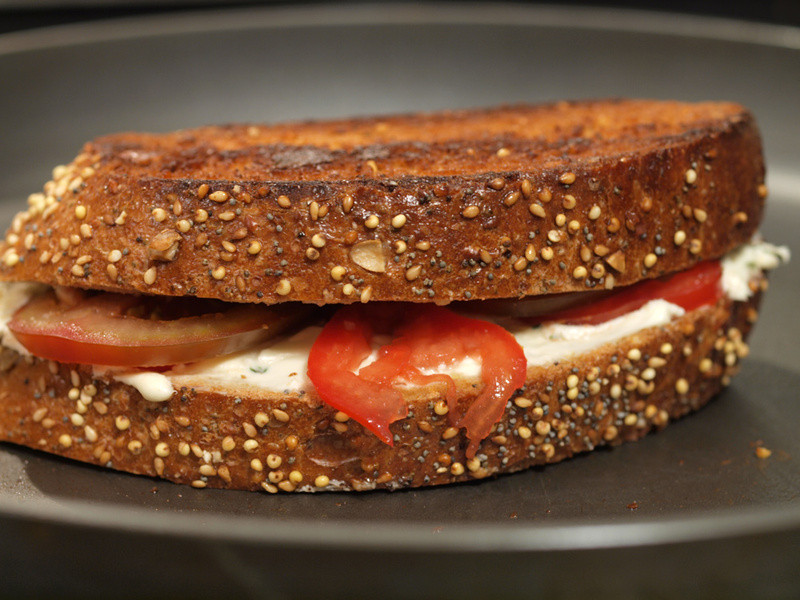 In order for this type of grilled cheese to be great, the ratio of cream cheese to tomato must be perfect, allowing for multiple textures. You will realize when that happens the minute you take a bite.